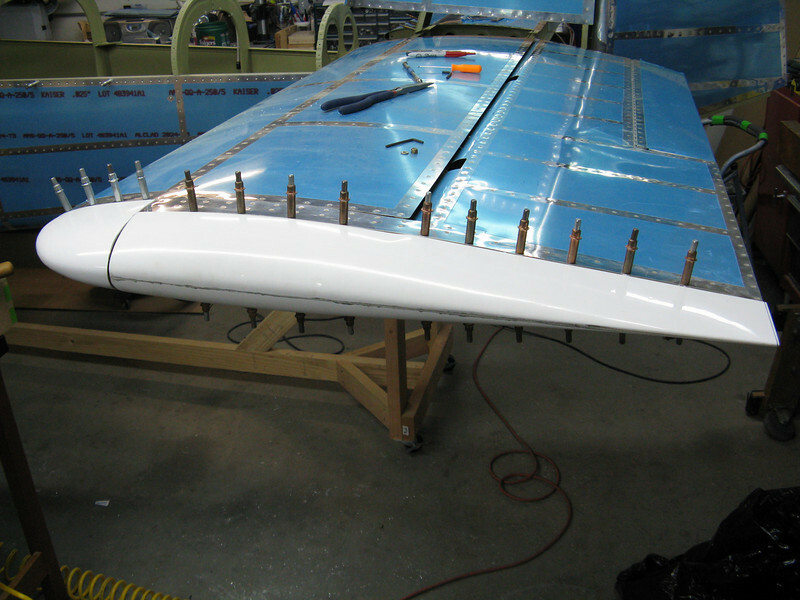 Left side fiberglass end caps are on and drilled. Still need to counter sink these and dimple the skins. I'm going to use countersunk pull rivets and leave the seams showing. Some builders cover up the seam with fiberglass. Seems unnecessary to me.